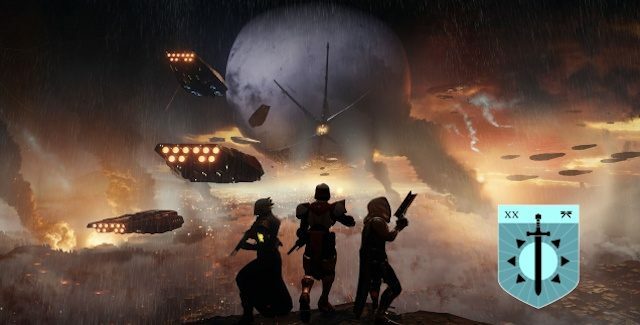 The Destiny 2 achievements guide lists every achievement for this Xbox One & PC open world Action-RPG FPS game sequel and tells you how to get and unlock them all. In the Destiny 2 achievement guide we’ll show there are 13 Achievements (0 Secret Achievements) with a total of 1,000 Gamerscore points to earn in the Xbox One and PC versions. 1. Long and Winding Road (40G) — Reach level 20. Tip: Play through all 16 Story Mission & some of the 29 Adventure Missions in the campaign to get your character to Level 20. 2. Zavala’s Lieutenant (60G) — Acquire each Titan subclass. 3. Cayde’s Pathfinder (60G) — Acquire each Hunter subclass. 4. Ikora’s Protégé (60G) — Acquire each Warlock subclass. 5. Show Me What You Got (80G) — Complete Shaxx’s Call to Arms. 6. In A Flash (80G) — Complete a Flashpoint. 7. The People’s Hero (40G) — Complete a Heroic public event. Tips: Public Events went bigger into Destiny, now with a heroic activator if you’re up for the challenge. Here’s how to activate heroic public events. They’re worth chasing if you’re in a 3 man team, although on some of them, you may need some help. 8. Heart of Darkness (80G) — Complete a Nightfall strike. 9. The Life Exotic (120G) — Collect 15 exotic weapons or armor. 10. Challenge Accepted (80G) — Complete 30 challenges. Tip: Destiny 2 Challenges only become available completing the Red War mission “Fury”. At that time you will need to speak with the Farm Overseer and then the Warlock Vanguard. Destiny 2 challenges work like Bounties from Destiny 1. There are challenge activities on each planet, in Strikes and in the Crucible. 11. Belly Of The Beast (100G) — Complete the Leviathan raid. Note: The Leviathan raid will start on September 13th, 2017 at 10AM PST / 1PM EST. 12. The Prestige (120G) — Complete the Leviathan raid or a Nightfall strike on Prestige difficulty. 13. Lest Ye Be Judged (80G) — Encounter an Emissary from beyond. Tip: Win one game of Trials of the Nine to get access to an area called “The Third Spire”. Travelling to this area will unlock the achievement. Trials of the Nine is only active from Friday-Monday and are the only days you can play it. It has no matchmaking so you need a team of 4. The game modes are countdown and survival and they rotate each week, same as the map does. Special thanks to Bungie, Datto & PS4Trophies for the list, tips & guide videos. Please comment if you have any Destiny 2 achievement unlock tips of your own. Kudos will be given. – Thanks for visiting!